Importers will caucus Tuesday, July 18 at 10 a.m. ET in Washington, D.C.
For more nominating and caucus information, including organizations seeking certification, or for a list of CPOs and CIOs, contact Shethir M. Riva, Research and Promotion Staff, Cotton and Tobacco Program, AMS, USDA, 100 Riverside Parkway, Suite 101, Fredericksburg, Va., 22406, telephone (540) 361-2726, facsimile (540) 361-1199, or email Shethir.Riva@ams.usda.gov. 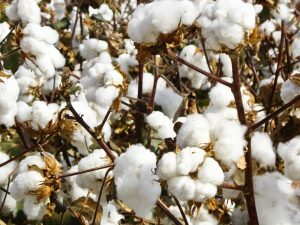 The cotton research and promotion program is authorized by the Cotton Research and Promotion Act of 1966. Since 1966, Congress has authorized the establishment of 22 research and promotion boards that are industry-funded and empower agricultural industries with a framework to pool resources and combine efforts to develop new markets, strengthen existing markets, and conduct important research and promotion activities. USDA’s Agricultural Marketing Service provides oversight, paid for by industry assessments, which helps ensure fiscal responsibility, program efficiency and fair treatment of participating stakeholders. Learn more on USDA’s Agricultural Marketing Service Cotton Board web page.